This cereal is essentially frosted corn flakes (similar but not exactly like Kellogg's Frosted Flakes) mixed with marshmallows from Lucky Charms cereal. The corn flakes aren't quite as crunchy or sweet as Kellogg's famous version, but they do have a nice toasty flavor. The reduced sweetness is welcome since the marshmallows more than make up for it. The flakes stay crisp for about 4 minutes in milk. There weren't as many marshmallows as I was expecting. But that's probably for the best. More marshmallows would have produced a sugar overload in each bite. 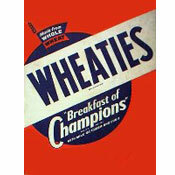 Granted, the cereal is still very, very sweet, but not grossly so. Tip: Shake the box gently before opening. Most of the marshmallows in my box had settled near the bottom of the bag. For my money, I prefer how the marshmallows pair with original Lucky Charms oat pieces more than with these corn flakes. 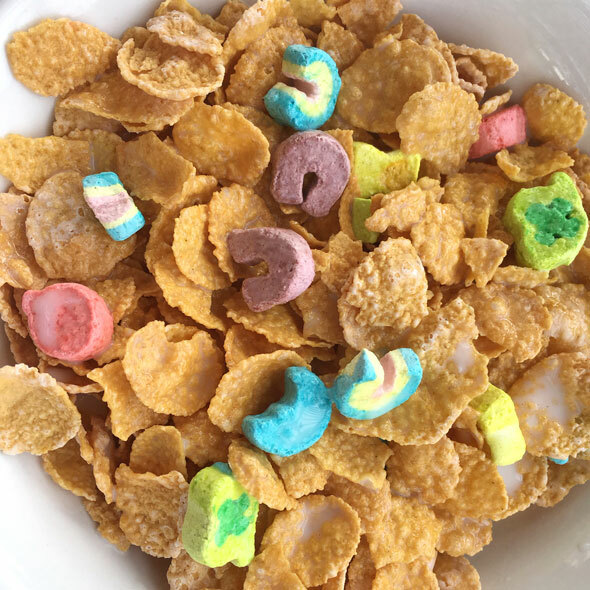 In original Lucky Charms, the main cereal pieces (shaped like clovers, X's, bells and fish) are firm and mildly crunchy so you get a distinct contrast in textures. With this new cereal as the the flakes soften, the textures of the cereal and marshmallows become too similar. With all that said... if this cereal looks good to you, you should try it. It will taste almost exactly like you imagine it will. 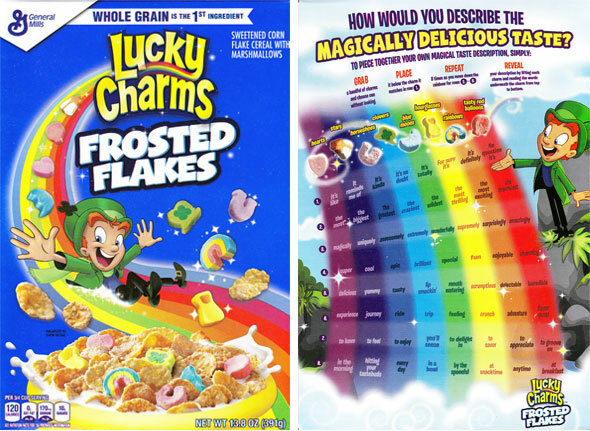 Nutritional Concerns: Each 3/4 cup serving of Lucky Charms Frosted Flakes has 120 calories, 0.5 grams total fat (0 grams saturated and 0 grams trans), 0 mg cholesterol, 170 mg sodium, 27 grams total carbs, 1 gram dietary fiber, 10 grams sugar and 1 gram protein. Please Note: The $0.00 price below indicates that the company sent us a sample box of this cereal. 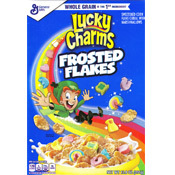 What do you think of Lucky Charms Frosted Flakes? I love this cereal I recently just tried it but ever since then I can't stop eating it. Perfect breakfast and snack for me. They should continue to make this. The corn flakes are not bad but the charms sink to bottom of box and there are not that many in the box.